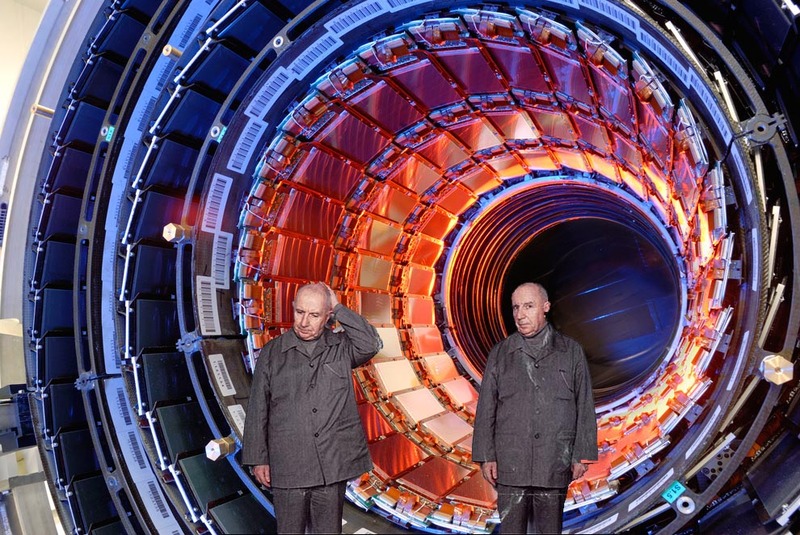 In an unexpected development, CERN announced earlier today that the Large Hadron Collider will be handed over to teams of social scientists for the next two years. The LHC is scheduled to shut down for essential maintenance and upgrade works until 2015, but an extensive technical assessment carried out by CERN concluded that it could be used for social science experiments during this period. The scheme has received backing from the European Union and various governments as it is expected to generate thousands of jobs for social science graduates. The idea was proposed by Professor Jacob Sokal from the Centre of Applied Humanities at the London School of Economics, who argued successfully that the much lower operational speeds required for social science experiments will not interfere with the upgrade works. Professor Sokal teamed up with colleagues from French and German universities to draw up an extensive research proposal that will allow social scientists to benefit from the unprecedented opportunity for utilising the LHC’s state-of-the-art facilities. ‘For decades, the social sciences have been constrained to theoretical speculation and field observations without the ability to conduct scientific experiments. This will be a major breakthrough in how we approach sociology, anthropology, political science and other social sciences’. Sokal made this announcement at a press conference held at the Panthéon in Paris, flanked by his colleagues Klaus Kuatschkopf and André‎ Blagueur. Asked about the nature of the social science experiments that would be conducted at the LHC, Sokal described a range of experiments such as smashing social constructs together at speeds reaching 60 KPH, ‘which in the slow world of social science is approaching the speed of light’. French theorist Paul Virilio has already devised a number of experiments that would bring together ‘the poetry of speed and the logistics of perception in a manner we haven’t been able to create synthetically before’. For his part, Kuatschkopf described plans for experiments involving gender and sexual identities using ‘centrifugal force and aggressive acceleration to simulate conditions of zero-environmental input, thereby eliminating socially-constructed forces on the production of identity’. Kuatschkopf explained that safety would be paramount, although subjects might experience mild nausea. ‘it’s all in the interest of science though, and we’re currently recruiting people of various sexual orientations to participate in these experiments’. Sokal also discussed plans to discover what causes people in the humanities to overuse the word ‘neo-liberalism’. ‘For avowed opponents of meta-narratives, this recurrent use of ‘neo-liberalism’ in everything from film theory to the sociology of kitchen design is starting to resemble a widespread conviction in a single dominant order.’ Sokal’s team will interrogate this phenomenon by making sociology students write 2000-word essays while being projected at high speeds in the circular tunnel. Other plans involve the ambitious aim to discover the so-called ‘Foucault Particle’, described as the ‘building block of contemporary theory’. ‘It’s an elusive concept, in its most recurrent form it impacts on the ability to claim you have read something when you haven’t actually. There’s almost a homeopathic relationship in how Foucauldian concepts are reproduced even by people who have never read his work’. The trio also informed the audience that economics would be excluded from the research programme because it’s the only social science that ‘has any implications in real life’. An EU official present at the press conference stressed that European leaders had felt nervous about ruining a long political tradition of trial and error in economic policy with ‘vulgar experiments’, adding that ‘some things can be reduced to numbers and figures, but the economy isn’t one of them’. Like this blog's page on Facebook to stay updated about new posts or follow me on Twitter or read my other alternative reality writing here. It is very effective article with the information about of article Large Hadron Collider to be taken over by social scientists. It is well written and effective also it is very informative. I really feel so good after reading your content AS I like to share Click-n-earn Get Paid Paid to click and view websites, Get Paid To Enhance, Buy Cost-effective Banner Marketing PTC Marketing Email advertising, Inexpensive ad Marketing, Inexpensive PTC Marketing, Produce Cash On the internet, ways to make money online, Get Paid For Website Strikes work from home USA And More. Try It Out Today! what great ideas! thanks for this from switzerland ! I'm a social scientist and I'm lucky enough to be visiting this excellent facility in June. I think I may go out and buy some sandals on principle! Where do I send my research grant proposal? The most experienced interns will be able buy real instagram followers to develop a marketing/publicity plan and implement a full, international multimedia portfolio to support the site. Give relevant info about a subject that users like to read about. Don't just write bla bla bla for the search engines, give http://www.essaypanda.org/college-paper-writing real valuable information that readers would want to link to.